It’s sometimes easy to forget that our digital lives rely on a massive, all-encompassing web of invisible radio waves; all we know is that our mobile device picks up 4G LTE or Wi-Fi so we can get on the Internet. But what does this invisible infosphere actually look like? Thanks to a new app from Dutch artist Richard Vijgen, we now have that answer. 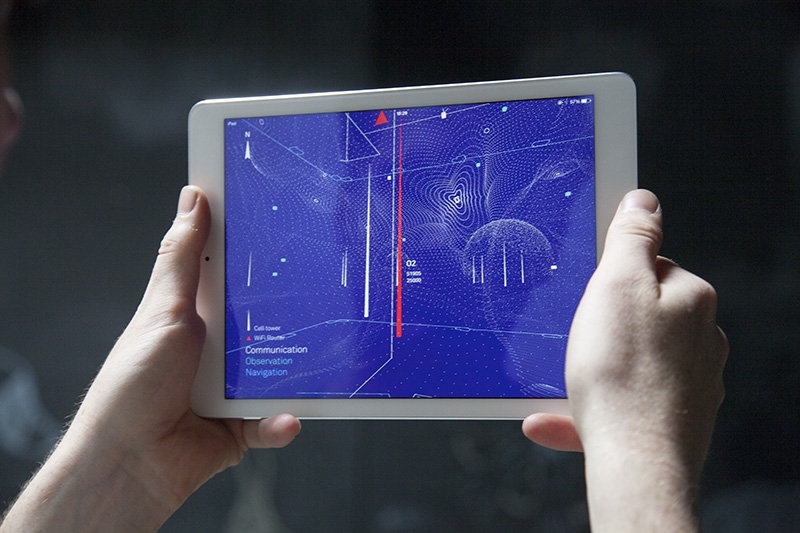 Architecture of Radio is an augmented reality app that visualizes wireless signals around you using your mobile device’s GPS and a global open database of nearly seven million cell towers, 19 million Wi-Fi routers and hundreds of satellites orbiting the globe. As Gizmodo correctly notes, being able to see this invisible world is breathtaking (or terrifying if you’re more of a tin foil hat person). It’s worth clarifying that while the data points illustrated in the app are real, what you’re seeing isn’t a scientific reality (you can’t flip on a Wi-Fi router and see it come to life in the app, for example). As such, it shouldn’t be used as a measurement tool but more for pure enjoyment and fascination. Architecture of Radio is similar to an augmented reality app that, as an amateur photographer and someone that’s fascinated with astronomy, I’m quite familiar with: Star Walk. This app allows you to hold your phone up to the sky and identify celestial bodies in real-time based on your location. If you’re at all interested in astronomy, I certainly recommend checking it out. Architecture of Radio is available as of writing from the Apple App Store priced at $2.99 (for those interested, Star Walk also retails for $2.99).